What’s everyone’s favourite Roald Dahl book? It’s hard, I know, because they’re all perfection on a page. I’ve spent years reading and re-reading and teaching all of his novels and short stories and have finally decided that “The Witches” is my favourite. 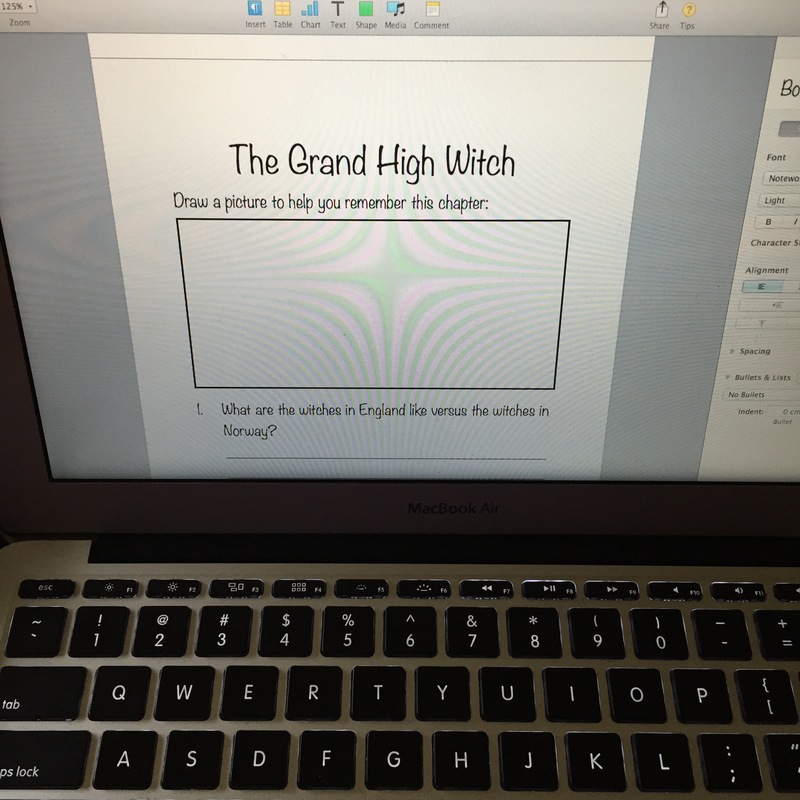 It’s especially fun to teach and read aloud just to do the voice of the Grand High Witch! Teaching at a school in which none of my students are able to read at grade level and many have comprehension and memory issues, I had to be creative about teaching my favourite Dahl novel. I didn’t want to skip teaching it in favour of something simpler because I feel like it’s a disservice to students who would otherwise love the story, to not get to learn it because of their learning struggles. Overall, all of my students enjoy and understand the story; I just need to be create about assessment and activities for the book. I decided to create an activity book to anchor my class through the novel and then add various activities throughout. I’ll read each chapter of the novel to my class and have them follow along in their own books (very, very few are able to follow along, but I still insist on this as they know many sight words which can help them follow along and catch other common words as well). After each chapter, I have all students draw a quick picture to help them remember what happened in the chapter, which I use as comprehension assessment later (I’ll have a mini interview with them about what has happened in the novel and they get to use the drawings from their activity book as a guide). The book also has chapter questions, some are basic comprehension questions, but mostly I want to have the students think deeper about what we’re reading so I like to include a lot of “how would you feel if…” or “what do you think will happen next…” type of questions. I’ll also try to mix in more aspects of curriculum, such as having them think of adjectives to describe various characters or having them compare and contrast. I like to also include other activities outside of the activity book to get students away from basic pen and paper, in-desk activities. I’ll have them act out scenes, or play hangman games to try to stump their classmates, or make The Witches-themed art projects. As with all of my activities in all of my units in all of my subjects, the thing I most want to accomplish is student enjoyment and passion about learning; it’s just all about making sure they’re learning and that I’m finding creative ways to assess along the way! 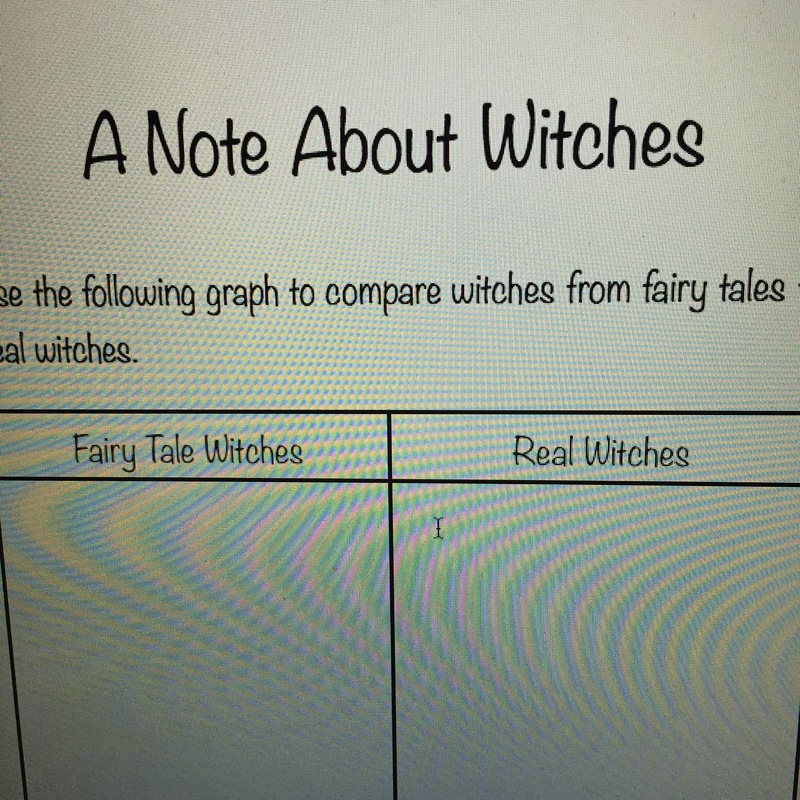 If you’re interested in my Witches activity book, you can find it here in my Teachers Pay Teachers store. I also have a similar Matilda activity book, which you can find here if you’re so inclined. Happy teaching!